Attendees to your conference, convention, and other meetings expect top-notch facilities and a positive experience – and the hotel block you secure is the cornerstone of delivering on expectations for your event, especially if your event will also be held at the hotel. Hotel blocks keep every attendee on an equal playing field and creates consistency for your guests, making booking and transportation easy and hassle-free, while also giving you a base of operations during the event. Hotel negotiations don’t have to be difficult, as long as you know the landscape. Here are some tactics you can take to the bargaining table that will help you negotiate the best hotel block deal for your next event. Planner of major events, like large corporate events and concerts, begin negotiating hotel room blocks years in advance of the event, but even smaller event organizers should begin negotiations as soon as possible. With your hotel as the foundation for your attendees (and maybe even your event), finalizing other details is impossible until this critical component is in place. 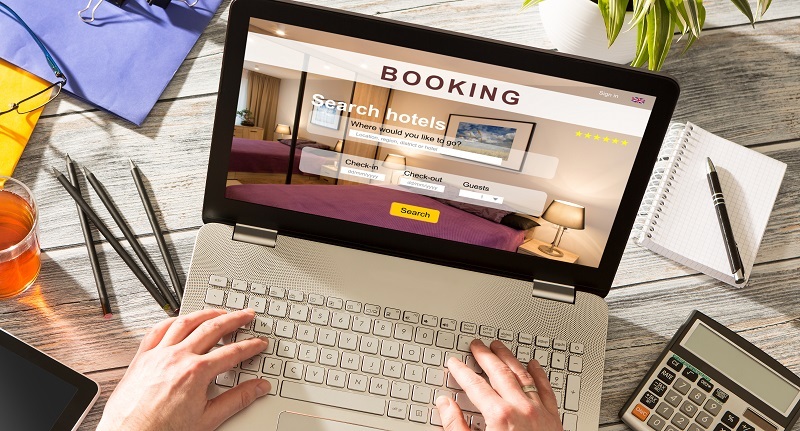 Hotels are more likely to offer better rates to planners who are working well in advance of their events, rather than those who are cutting it close. Waiting to book your hotel shifts the negotiating leverage to the hotel representatives, since you won’t have as many options. Beginning discussions early on with hotels also gives you more time to negotiate details and work out any wrinkles as your event draws nearer. Create a detailed list of exactly what you want and need from your hotel partner at your next event. Think about what you can compromise on and what your non-negotiable items are. This list should serve as your battle plan for what you need and what you need to do to get it. Audiovisual requirements during events. Even if your hotel doesn’t have all of the necessary equipment, you should confirm that they have the capacity to handle your AV needs and that the onsite equipment is compatible with your event equipment rentals. Transportation needs. Do you need the hotel to provide a shuttle to and from the airport or to off-site locations for your event? With your game plan in hand, you can narrow down your hotel selections to a handful that fit your needs and then ask for bids from each. Once you have all of the responses in hand, you can begin to compare the offers, including prices and included amenities and accommodations for your event. Here’s a handy list of hotel industry terms to help those unfamiliar with the hospitality industry lingo. A picture may be worth a thousand words, but they can also create expectations that fall flat when you see the space in person. 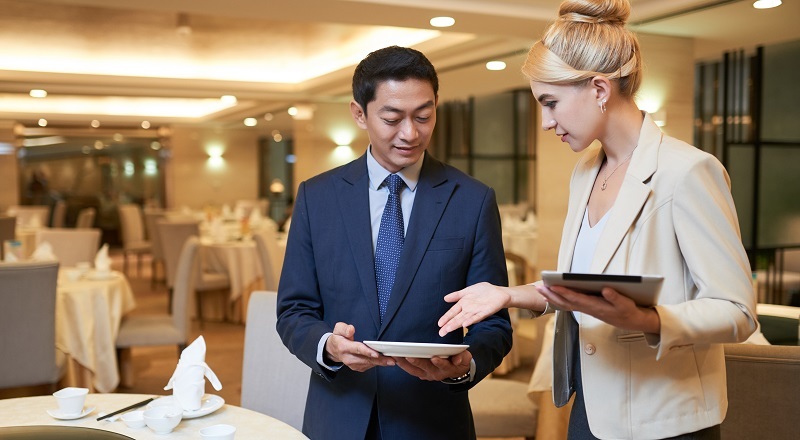 The site visit is a critical component of any hotel negotiation, especially for events like nonprofit fundraisers or meetings that tend to be conducted completely onsite at the hotel. It’s also a great opportunity to make connections with the people you’ll be working with as your event approaches. Take a close look at the property to ensure that everything that you expected or were promised in the bid is present. Measure the size of event rooms, check the acoustics, and sketch a simple diagram or layout of how you plan to set up the space during your event. Take a look at the rooms that will comprise your block and ensure that they are up to your quality standards. Check on the amenities promised by the hotel – is the fitness room really a gym or is it a closet with a treadmill and how does that pool look in real life? If possible, bring along your AV supplier to ensure that all of the onsite equipment is compatible with your rented equipment. Visit area restaurants so that you can make recommendations on your event site and pay attention to public transit options for guests who won’t have access to vehicles. In short, make sure that the venue offers the kind of experience you want your guests to have at your event. Once you’ve compared bids and visited potential sites, it’s time to pare down your choices to just one or two hotels. Negotiate details with the reps from each hotel until you’ve settled on a final choice. Even after you’ve made your selection, don’t rush into signing a contract. As a general rule of thumb, you should never sign the first version of your hotel contract. Review the contract with your planning team and offer a counter-proposal, but never reveal your budget as this can put more negotiating power in the hands of the hotel. This back and forth negotiation styles allows both you and the hotel reps to reach a version of the contract that makes both of you happy. Once you’re comfortable that you have the best deal and all of your needs covered, sign the contract! Negotiating a hotel block is a long and involved process, so you should be prepared and begin your search as early as possible. Few things in the event world are simple and hotel negotiations may seem particularly overwhelming, but mapping out your event and creating a game plan that includes everything you need to make your event a success help build the foundation of a positive negotiating experience. Need event production services for your next event? From sporting events to corporate events and everything in between, our event production services professionals have the expertise and experience needed to handle the production and technical side of your event, helping make your event a success. Rentacomputer.com’s experts can assist you with everything from sound systems and lighting selection to IT support. No matter where your event is, Rentacomputer.com can help. Get a quote for all your equipment needs today! When you invite speakers from foreign countries to present at your next event or market attendance at your event to an international market, they (and you) will need to brush up on your knowledge about US visa requirements. Generally, business or tourism visas are sufficient for temporary visitor travel, including for conference and event attendance. However, due to recent changes by the State Department, many companies have begun to experience the pain and hassle of long processing times, increased numbers of denials, and changes to visa types needed. You can help save your event (and help your attendees and speakers participate from anywhere) with remote attendance options. 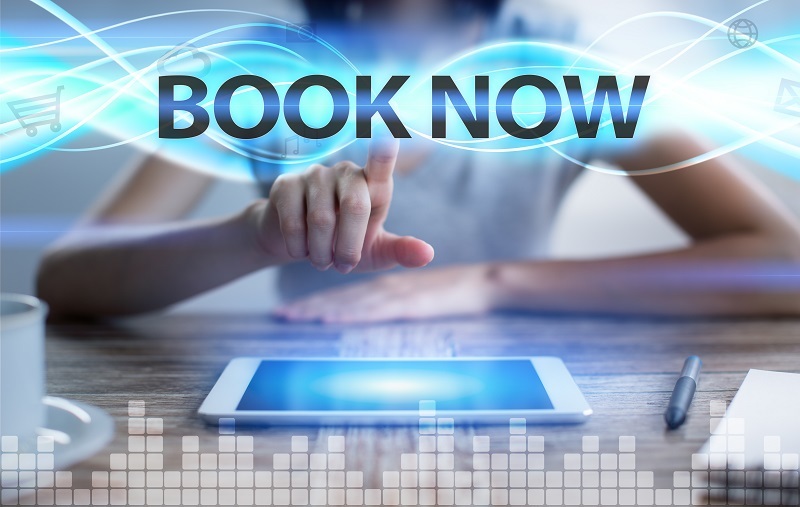 Providing your remote attendees with laptop rentals and tablet rentals that come pre-loaded with your event app and software helps ensure that every user gets a full and complete event experience that will keep them coming back year after year. Read on to learn more about how changing visa issues might affect your participants and how remote attendance options can help save your next event. Even in the best of circumstances, it takes around three to five weeks for the State Department to process travel visas. In the wake of recent changes, tightening restrictions, and greater scrutiny of applications, wait times and denial numbers are increasing. These issues can even lead some of the most reputable global companies having trouble getting some of their most important foreign executives and participants to event locations in the US. In the past, most event attendees were able to attend events with Business (B-1) or Tourism (B-2) visas that covered activities like attending conferences and conventions, negotiating contracts, and unpaid participation in musical, sports, and other similar events and contests. 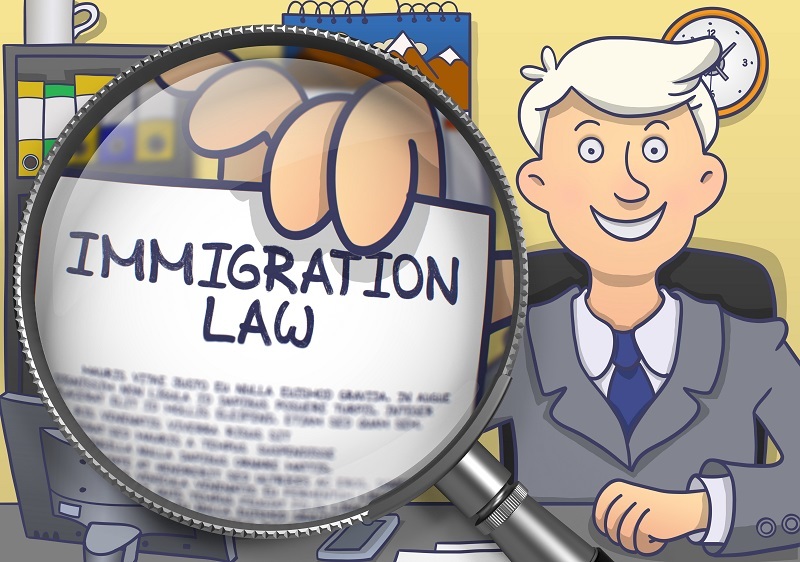 Frequent rule changes and unclear directives have led to some confusion at points of entry across the US – leading some visitors with B-1 and B-2 visas to be denied entry because they had not been notified that these visa types were no longer sufficient for their travel purposes. 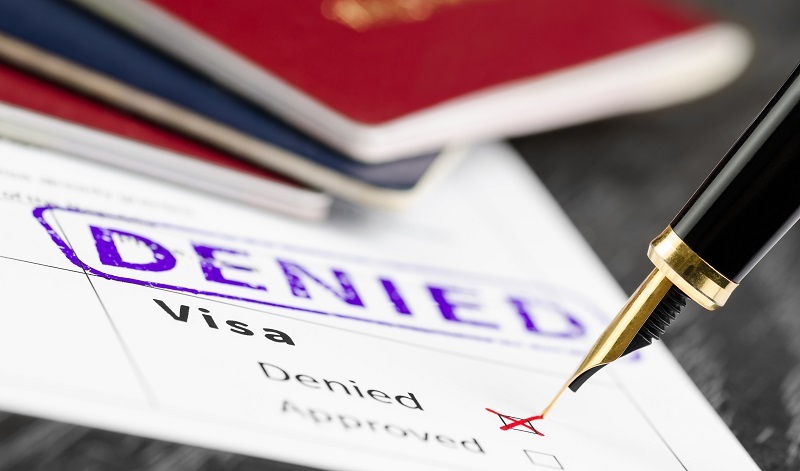 Often, the application of these restrictions and denials of entry seem to be applied inconsistently, causing additional confusion for visa applicants. In 2017, The International, the largest Dota 2 esports gaming event, saw the loss of its host Henrik Ahnberg and a member of Team Empire due to confusion over the type of visa needed for them to attend the event. Both had previously attended the event on the same visas, but the new rules and updated regulations surrounding visa issuance led to both being denied their visas at the last minute. Visa issues also caused major headaches at the 2017 SXSW. At least seven bands were turned away by US Customs for possessing the wrong visa type. 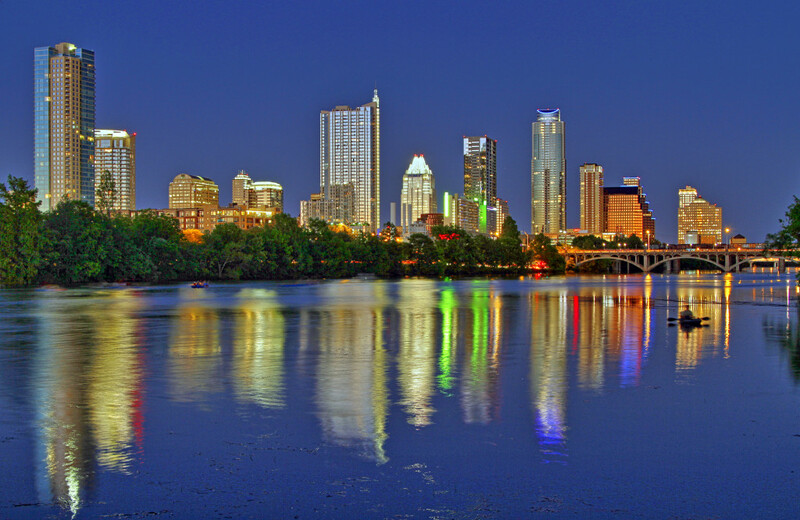 Though all of the bands had previously entered the US and participated in SXSW on the B1 visa, they were denied entry by Customs agents who later issued a statement that international performers at the event now needed to possess a P-1 visa. P-1 visas have traditionally only been required for paid professional athletes and entertainers. However, there are steps you can take to help ensure that your event doesn’t take too much of a hit due to potential visa issues. Joining your conference, event, or meeting remotely allows your participants the opportunity to take part in your event from afar, ensuring that information and details are able to reach a wider audience. 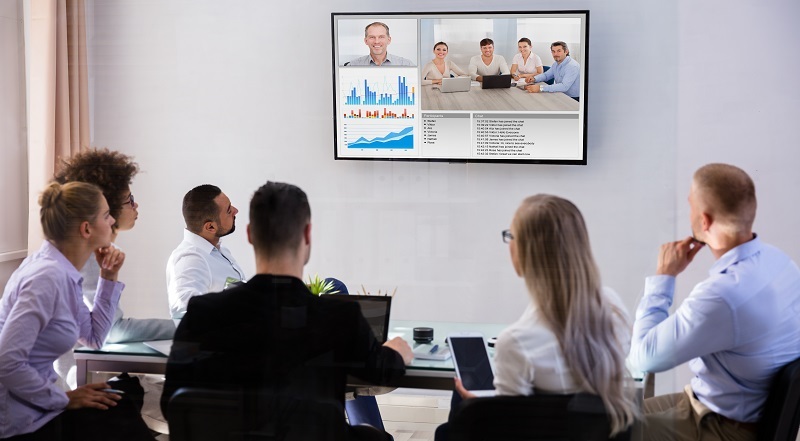 For smaller groups and business meetings, Google Hangouts may be an ideal option to help connect all of your attendees. For larger groups, Cisco WebEx and ezTalks Meeting both provide the best opportunities for remote attendance and participation in your event. 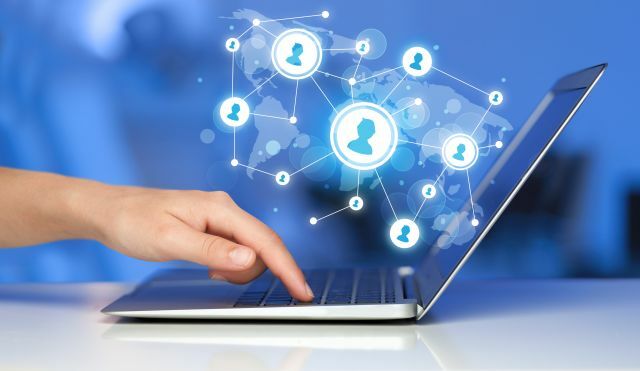 With all of the work that you’ve put into your event, it’s important that you get all of your remote attendees on the same digital page. In the ever-evolving world of technology, you can’t rely on your attendees’ equipment to have the specs needed to run your apps or to view all of the documents you’ll be sharing. Laptop rentals and tablet rentals preloaded with your event app, necessary programs to view shared items, and video conferencing software can help all of your attendees get the best experience from your event. Don’t let visa issues and processing bottlenecks cause your attendees and speakers to miss out on your next big event like they did the 2017 African Global Economic and Development Summit in Los Angeles. Laptop rentals or tablet rentals can be pre-loaded with the apps and software your users need to make the most of their remote attendee experience. When planning a corporate event, your goal is to grab every participant’s attention from the second they walk through the door. You need the right lighting, the proper backdrops that match up to your logo, and entertainment or music to electrify the mood. How do you do this? Hire an event production company, of course! This blog post will detail what the right company can do for you. 1. Put you and your staff at ease. Hiring a company that has run many events is the fastest way to give you piece of mind. Ask for references and be sure to call them. A full-service event management company is a one-stop provider of Audio/Visual and computer equipment, décor, special effects, and whatever else you may require. Work with an organization that you can easily reach through email, phone and text and will communicate with you when they have a question or concern. 3. Tie the event theme to everything. From the registration area to the expo area to the stage, you want to hire an organization that can produce your vision. This requires insight and coordination that only a great production company can provide. 4. Convey your brand message throughout. New product launch. Grand opening. Incentive trip. All three have different purposes. 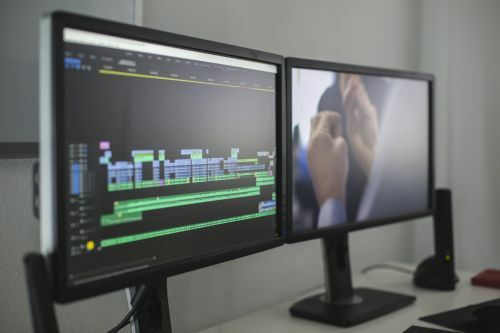 With large, high resolution monitors that display everything from your logo to inspiring video, the right technology can help attendees leave jazzed about your organization. You want an organization that handle draping, lighting, projection and sound with the professional integrity you are looking for. When your entertainer hits the stage, you want to rest assure the sound system works properly and the lighting is perfect. An onsite A/V technician can make sure everything is thoroughly tested beforehand and in the case something does go wrong, fix it immediately. 7. Take, edit and play video. The right video clips can create all sorts of emotional responses – from crying to laughter to learning. 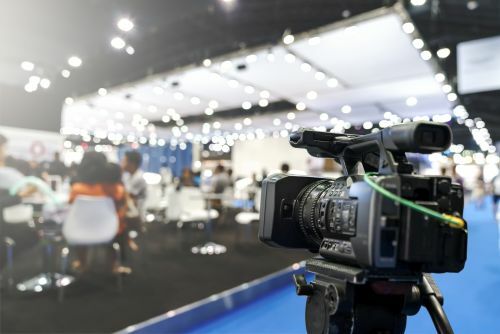 Never underestimate the power that the right video can give to your organization in selling next year’s conference. If you want everything to go off without a hitch, consider partnering with us. We, collectively, have several decades of experience and will communicate with you from start to finish as your premier corporate event production company. Give us a call at 800-736-8772 to learn more! 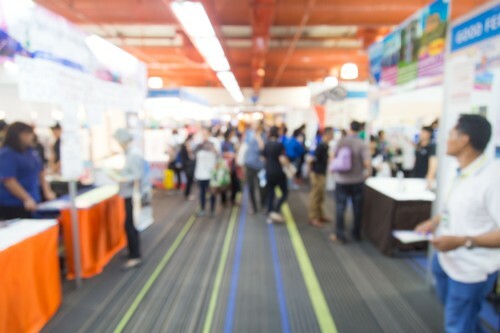 One of your main goals when planning an industry event or trade show should be providing convenience and connectivity to each and every one of the attendees. If you purchase technology — computers, tablets, presentation screens, etc. — to use at different events, you not only have to be responsible for them, you have to transport devices from event to event and store them when not in use. If you’re hosting a large convention or another sizable gathering, the technology investment will be huge, and the return on that investment will come in the form of only a few years of viable time before that technology becomes outdated. The fact is that it simply doesn’t make sense to buy technology when you’re only going to use it for events. 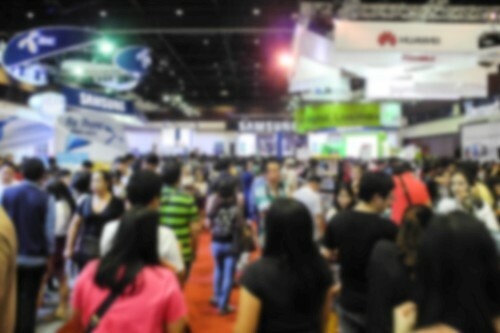 Rentacomputer.com can provide the solutions you need to provide unmatched convenience and save you money every time you need technology services for a convention or other event. Providing wireless internet at trade shows and conventions is key to driving engagement between presenters and attendees. Many events suffer from a lack of connectivity, which means that event-specific apps and other technology are effectively useless. 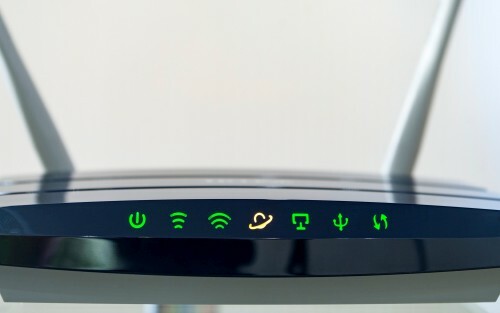 Rentacomputer.com can provide wireless routers and internet modems that keep your business online, both for the benefit of attendees and presenters. We can transport the equipment nationwide to your event, set up a network and troubleshoot it over the course of the event if necessary. No matter how old-fashioned you might be when it comes to processing payments during your event, your guests more than likely want to worry less about having cash and more about engaging with thought leaders in their industry. For sign-ups, merchandise sales, food sales, and any other transaction that may occur at your event or convention, you need technology that makes paperless payment as easy as possible. For large events, we rent tablets with Square payment processing programs pre-installed, leaving you to worry less about managing cash flow and more about making your event a success in other areas. Having IT rentals at your fingertips can take away many of the barriers that previously stood in the way of creating a memorable experience for the people that attend your events. When you thought you have to provide all your own technology, immersive experiences like a wall of screens, a personal tablet for everyone in attendance or even a virtual reality product demonstration seemed only possible in your dreams. As a nationwide provider of IT rentals, we can transport the tech you need anywhere in the continental United States. With Rentacomputer, you’ll never need to worry about logistics when it comes to technology ever again. We’ll even stay on the premises during your event to fix any potential problems that arise while you’re using our technology. When you can host a convention without worrying about getting the technology you need, you’re free to focus on what really matters: making a memorable experience for your attendees. It can often be confusing, hearing all of these acronyms and names being flung around when talking about displays: LED, LCD, plasma, OLED, just to name a few. You will be relieved to find out that it is not really as complicated as it sounds. There really is not much difference between LCD and LED, and those are really the two most common displays. 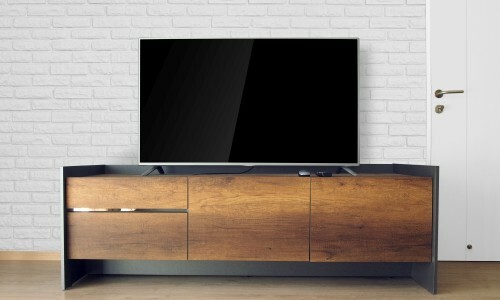 Even though they have different acronyms, an LED TV is just a certain kind of LCD TV. The technical term for such a piece of tech would be an “LED-backlit LCD TV”, can you see why people just call them LED TVs now? 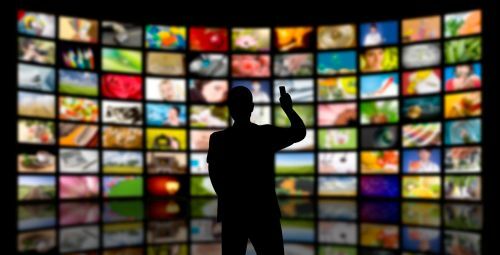 Both of these types of TV utilize a liquid crystal display panel to manipulate where light will be displayed on your screen. These panels will generally be made of two extremely thin sheets of material that hold a solution made of liquid crystal between them. When an electric current makes its way through the liquid, it causes the crystals to align, in order to allow or prevent light from passing through. Each individual crystal acts as a shutter, in the sense that it will either allow light to pass through or block it out. As you can see, there really is no difference between an LCD and an LED screen, especially when you consider the fact that these days non-LED-backlit LCD TVs are obsolete – you will not be able to buy a brand new one from any store. 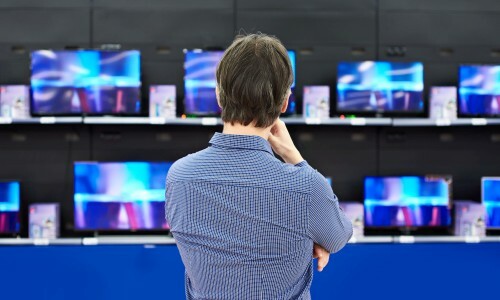 But, the good news is that LED TVs became readily available in the mid-to-late 2000s and since then they have become incredibly cost-effective. We are available to provide LED monitor rentals for all of your short-term display needs wherever you are. Whether you need LED screens in NYC for an annual investor presentation, or you need a huge outdoor LED video wall for a festival in Miami, renting is more cost-effective than buying and storing them between events. LED monitors can even be clustered in order to create LED video walls, and offer a fantastic way to display information, or show films or presentations in a professional and non-intrusive manner. LED Screens offer the ideal solution for all indoor and outdoor events with display needs, where a big screen is required in order to deliver high-impact, high-quality video and images. If your business is staging an event such as a conference, then it is highly likely that additional screens will be required. This can be essential for a variety of reasons including branding at events, information for visitors, and for displaying live social media feeds that are related to the event. Large displays are perfect for use during presentations and speeches to ensure that those at the back don’t miss a thing. 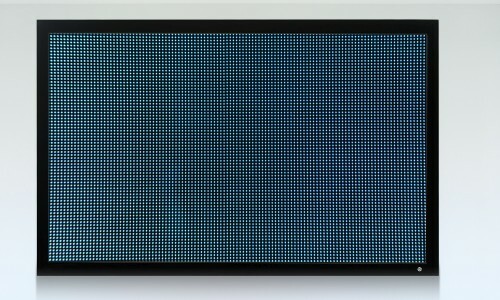 LED displays are lightweight, extremely portable, and suitable for a variety of needs and purposes. In recent years, event tech has come a long way to improve attendee engagement and the overall experience at trade shows, conventions, and conferences. Event rentals are also available with the potential to decrease overall cost of running the event or increase ticket or other sales by speeding up transaction processing. A few recent trends have emerged that are still gaining in popularity. Several monitors can be combined into a single display that will produce a large, immersive video. Combined with high-end speaker systems, you can deliver a truly professional multimedia presentation. Video walls have also been used to display several Twitter or other social media feeds relevant to an event, so that visitors can see what people are talking about at the event. No service at your event venue? No problem! Rent Verizon MiFi Hotspots and keep your visitors connected. Not only will they stay longer and enjoy your event more, but 4G access will help encourage them to engage with your social media and hashtags. Take your convention booth to the future with virtual reality headsets. Wow your attendees and make a lasting brand impression like no other technology can. Short-term rentals of this technology are surprisingly affordable, do yourself a favor and look into this emerging product. 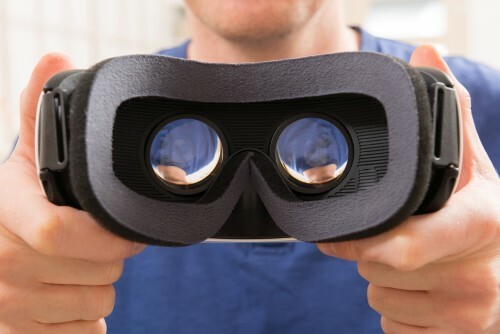 Be the first one at your show to demonstrate your product in VR! iPad rentals are a great way to get attendee to interact with your booth. Media presentations and games will engage participants, and iPads can be used to obtain feedback and contact information for email or other contact campaigns. iPads can also be used for Square payment processing, giving you the ability to sell your product right at your booth. iPad kiosks, as well as other display kiosks, are also available for rent. iPad Kiosks are basically iPads on stands, which can be secured to your booth. The kiosks also have a protective case for the iPad, to prevent damage in case you or one of your visitors have an accident or spill. Other kiosks are available, such as cell phone recharging kiosks, to draw attendees to your booth and keep them there, giving you a chance to engage them with your display. Our event technology rentals are great for conventions and trade shows, but we have experience providing short-term technology solutions to all types of events. User and industry conferences and corporate training events often require one laptop or tablet per attendee, adding up to hundreds of devices. Renting the devices for these events is not the last of your concerns, setting them up with the right software, delivering them to the right location and the right time, installing the devices where they are needed at the event, servicing them during the event, and returning them to one of our regional rental offices all need to be considered. And when you have dozens or hundreds of devices, each task can be daunting! Fortunately for you, we have done this before, and have hundreds of happy customers across the United States that we have helped with events just like yours. Visit us today at Rentacomputer.com and find out how we can help your event be a success! Whether you have labeled it or not, you probably practice disruptive marketing several times a day. You are watching a movie and can’t remember the name of the movie star, so you ask Siri. You are in a meeting and you see a text about a special at your favorite restaurant and you click on it. Or you are working and your wearable device reminds you to get up and walk, so you move to the outdoors. These are all examples of disruptions that are focused on getting your attention from the current situation to another (if only for a few moments) and then back to the task at hand. How does this translate into the events industry? Strangely enough, very well! When presentations are boring or uninformative, what happens? People whip out their mobile devices to see what they have missed. Or they move out of the room. However, this same mobile device, plus the use of others, can bring new energy and participation into your meeting — much the likes you may not have seen in years. Disruptive marketing is more about a concept of how you deliver your event, versus the marketing of it. Used properly in the industry, it means you will design a meeting or event to match the demands of your current or prospective attendees. 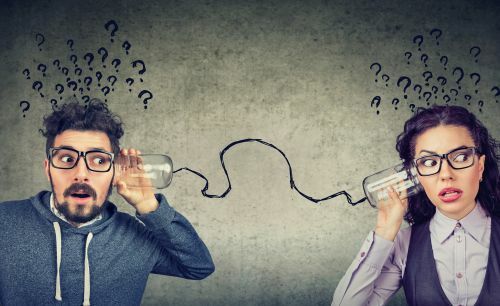 Using disruptive messages, your organization will either challenge the conventional thinking of existing attendees or speak to a completely new group of prospects, which ultimately means the ability to grow your event. This change is not to be ignored; if you don’t engage in this methodology, your competitors will and this post is all about keeping ahead of the curve. How Can You Use it at Your Next Event? 1. Get buy-in from speakers, sponsors and shareholders. Ask presenters and sponsors specific ways they are embracing a disruptive marketing strategy. Have them show examples of what they will do at your event. Regarding shareholders, it is vital that they embrace these changes – and not with their teeth clenched – but fully understand this is the way the events industry is going to roll from now on. 2. Put the best of everything first. Front load your days with great keynote speakers first, followed by the best of the best breakout presenters next and so on throughout the day. Remember attendees will peel off during sessions and during the day – this is the reality of the events world. It is better to deliver 50% of the message in the first few minutes, because dribble presentations are no longer effective. 3. Hire only captivating and interactive presenters. Within the first 30 seconds of every presentation, the speaker needs to grab the attention of the audience. But realize the longest they can hold audience members is for 3-10 minutes without a disruption. That is why great presenters build in disruptions such as asking questions, fielding answers and encouraging audience members to work on problems together. 4. Embrace logistics agility through the use of technology. Let’s face facts: at every large event, something changes or goes wrong. You have great presenters and lousy ones. Sessions get moved around or you have a number of last-minute sponsors you want to recognize. Attendees want to shorten the day and extend the reception time. 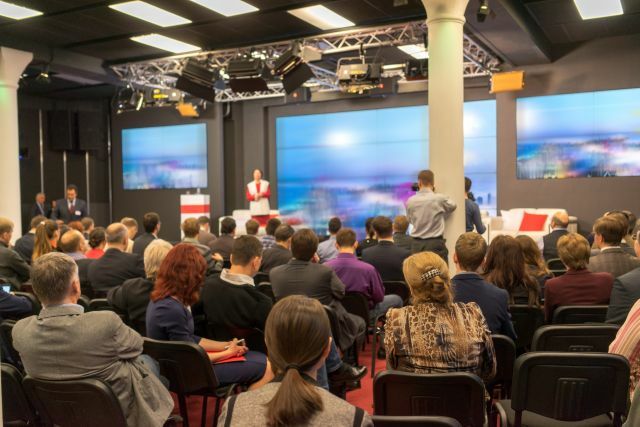 The examples listed above work well with video walls, digital signage and mobile apps and allow a true connection with your attendees on a real-time basis. This technology can allow you to extend more time to great speakers, repeat popular sessions on a whim, highlight room changes, showcase a Twitter wall and constantly poll attendees about what changes they want and when they want true. True agility at work. Who Can Help Implement Your Disruptive Marketing Strategy? Rentacomputer.com can of course! We can provide your organization with event technology rentals for conventions, trade shows, and meetings. No matter where your event is located, we can help achieve a disruptive marketing solution that really works. Most event planners are using social media in conjunction with events. What is your strategy? What resources do you have at your disposal? e.g. : Company Twitter, Instagram and Facebook accounts. 1. Gather data from previous events such as target group demographics and competitor analysis. Look at that data for ideas that will help develop your social media campaign. 2. Start at least six months before your event with hashtag info, content about your upcoming event and images and info from previous events. The more new content you create the better. Include announcements regarding deadlines, speakers, receptions and recaps from the previous year’s event. Keep posting at a regular weekly rate. Plan a contest to award your social media audience a prize for the best social interactor at the end of the event. 3. At least two weeks before your event, speakers can really help you promote. If there is one available include a video with the keynote and or other speakers. Encourage speakers to use their own social media accounts to promote the event. 5. During the event assign one person to stay on top of posts and respond to comments, compliments and complaints. If you are fast to help an attendee, speaker or exhibitor people are often very thankful. 6. Get a media wall rental or floor-standing large screen display rental! They are a great way to track and display all the great photos, tweets and posts from attendees. 7. At the start of the conference to remind participants of your hashtags and tell them why they should use those hashtags during the event. 8. Post-event follow-up should thank everyone who posted on social media about your event. A simple post reply or retweet with “Glad you attended #Event, hope you had a good time!” says you care about their social media involvement. 9. Award social media users with a small gift as promised 6 months out and be sure to socialize that too. A lot of big cities around the country are attempting to increase their meetings-related economy by growing their hotel offerings and renovating other offerings, like airports. These plans are an attempt to attract corporate planners while simultaneously entertaining guests and visitors. 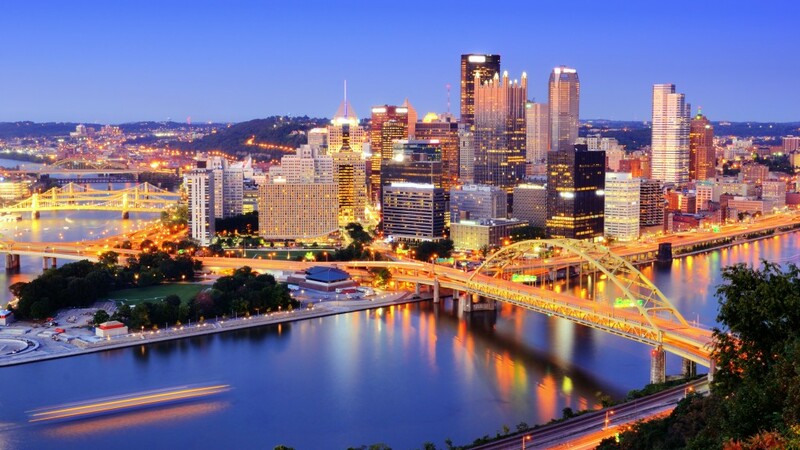 If you are a meeting planner then you should definitely take note of these 5 cities. “The Big Easy” is constantly growing. 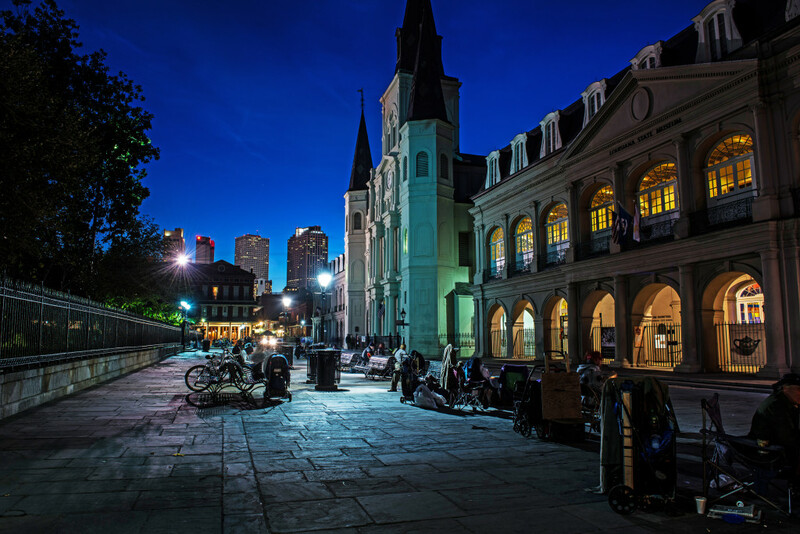 According to Director of Sales for BBC Destination Management in New Orleans and President of the Association of Destination Management Executives International David Rome, “New restaurants, venues, parks, and festivals are popping up daily. These new innovative sides to our city are exciting and allow us to provide a new local perspective for our clients.” 2018 marks the tricentennial for New Orleans and will see the opening of the newly renovated Louis Armstrong International Airport, meaning meeting planners should expect big growth from the city. Hotel rates in Minneapolis are pretty similar to most other major cities, though other things, like entertainment, food, and transportation, are cheaper. This makes Minneapolis a more cost-effective alternative to its neighbor Chicago. 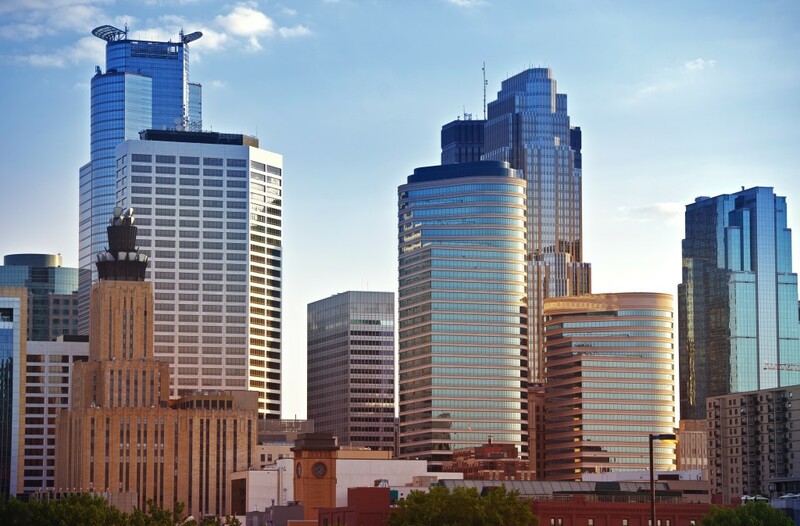 Minneapolis has been given the honor of hosting the 2018 Superbowl and also contains almost 5,000 hotel rooms within walking distance of the city’s convention center. A lot of properties in the city have also been renovated, including the Renaissance Minneapolis Hotel the Depot, which was a former train station that houses two hotels, a water park, and an indoor ice rink in the winter. Even though Minneapolis may not be the first destination for event planners due to the cold temperatures, the city does claim to experience more sunshine days per year than Chicago or Indianapolis. 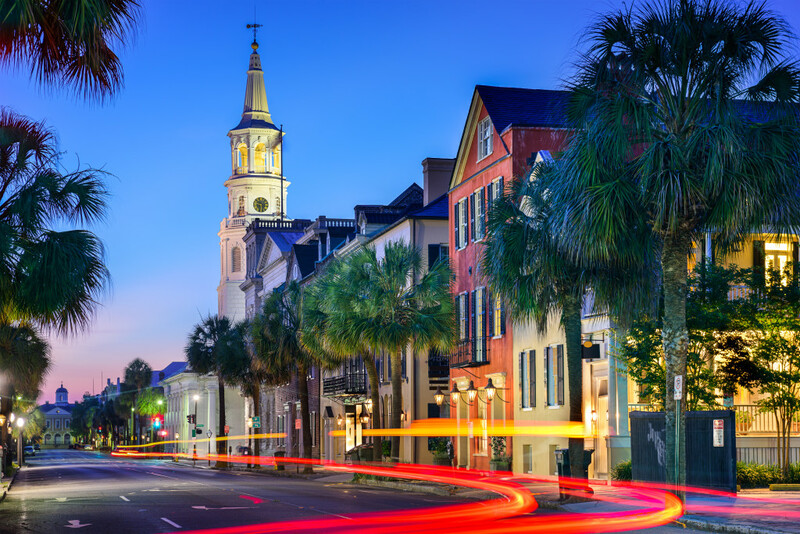 South Carolina is a very family-friendly state, including the city of Charleston. The city, which houses grand mansions and cultural landmarks, also has a rich history that visitors are sure to find interesting. Director of Sales for the Charleston Area Convention & Visitors Bureau notes that many of Charleston’s off-site venues, like the Lowndes Grove Plantation and the Old Exchange (an 18th-century building once used as a government meeting place), are popular with planners thanks to their significance. Other attractions include the South Carolina Aquarium and the Maritime Center. In addition to that, a bunch of new hotels with meeting spaces recently opened, including the Hyatt Place Charleston Historic District, La Bohemian Hotel, and the Spectator. So, if you are a meeting professional or event planner then you should definitely be keeping an eye on these 5 cities. They are growing and adding new things that are sure to draw in lots of people and events! Are you in the Trade Show Professional or Corporate Event Planner and on the fence about the need to further your knowledge of the industry? Or, have you been wondering when to take the time out of your busy scheduled to simply take a break and make some new contacts?